Two farmers who got scratch cards after hip replacement surgeries thank their lucky stars! Just days after being released from hospital with hip replacements, two farmers will appear on this week’s Winning Streak after their lucky stars were pulled from the drum. Both farmers, Chris Tansey from Swinford in Co Mayo and Tommy Durr from Ballinagard in Co Roscommon received their Winning Streak scratch cards as gifts when they were discharged from hospital after their hip surgeries. Chris had his hip-replacement operation only seven weeks ago and is still in recovery but is feeling very well. His daughter Corrina bought him three Winning Streak scratch cards when he was released from hospital, one of which got him on the show. Two of his sons have been helping him out on the farm while he is recovery. Meanwhile Roscommon man, Tommy Durr despite never having bought a scratch card in his life, is a big fan of the show. He was gifted a Winning Streak scratch card from a family friend after his release from hospital last month. Tommy says he is looking forward to getting back to work and is already feeling great post operation. Tommy enjoyed his recovery time in Fearna Manor nursing home in Roscommon and is extremely thankful to the staff there who helped him out. 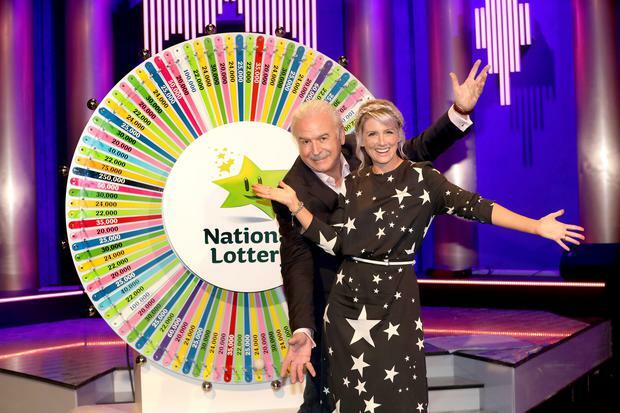 Just last week a Westmeath mum has promised to purchase a new tractor for her family farm after winning a cool €57,000 on the National Lottery Winning Streak game show on RTÉ One this weekend. The lucky Westmeath woman was the biggest winner on the night and Patty McHugh Dolan from Streamstown, who is married to Declan, a cattle farmer, said that a new Massey Ferguson will be top priority with her winnings from the weekend.